During the debate forum Yle Sápmi Arena, leading Sámi representatives Jenni Laiti, Tiina Sanila-Aikio and Aslak Pieski discussed what it feels like to be Sámi in Finland today. The discussion ranged from desparate frustration to new enthusiasm. The first theme addressed by this year’s Yle Sápmi Arena was “Politics and barricades: The possibility of influence in the 100-year-old Finland”. 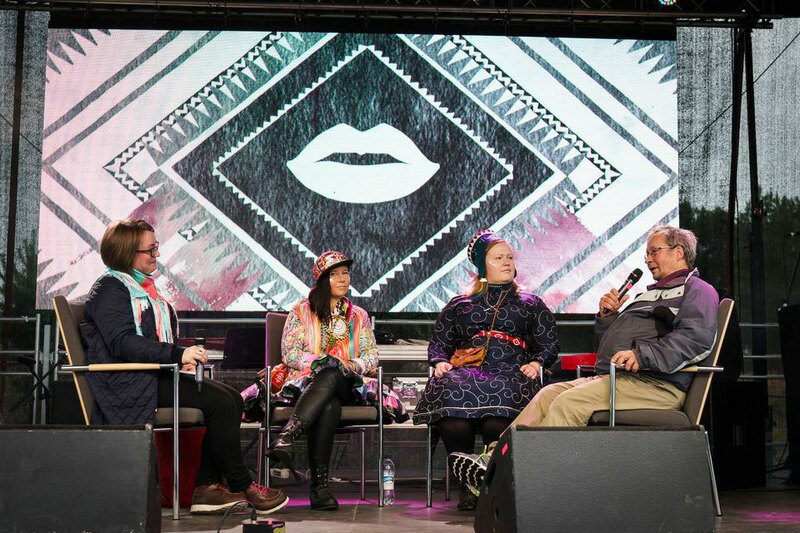 The discussion took place on the main stage of the Ijahis Idja indigenous music festival and was chaired by Maria Saijets, the Head of Yle Sápmi. The participants were Jenni Laiti, an artist and activist, Tiina Sanila-Aikio, the Chair of the Finnish Sámi Parliament, and Aslak Pieski, an enthusiast who works for the community. The discussion ranged from frustration to new enthusiasm. Tiina Sanila-Aikio has chaired the Finnish Sámi Parliament since March 2015. Prior to that, she was the Vice-Chair of the Sámi Parliament. Sanila-Aikio is tired of the present situation: no matter what you do, the situation does not improve – not even in a civilized state. Aslak Pieski, who works for the community in Utsjoki, has experienced the same. “If Sámi really want to make an impact, they are branded as terrorists; they are not good people. But I’m really happy that the young people can and dare and are doing things,” Pieski says. The Chair of the Sámi Parliament does not know what to do about the issue. “I don’t know how to get the message through. I’ve tried, together with the Sámi Parliament – its politicians and administration – to look for ways that comply with our judicial system. This is our situation in 2017, in the 100-year-old Finland,” Sanila-Aikio reflects. The Sámi Ellos Deatnu (Long Live Deatnu) movement that protests against the new Deatnu Fisheries Agreement has got a great deal of attention this summer. The movement took the self-determination of the Sámi in its own hands, as the State did not listen to the local people. Self-determination is really the crucial thing, says Jenni Laiti, a representative of the movement. Laiti is satisfied with the results of the moratorium area. “I’m really happy about the achievements of this summer and the fact that we have reached the local people. As a result of colonialism, our people – we ourselves – have become the biggest hinder for self-determination,” Laiti reflects. 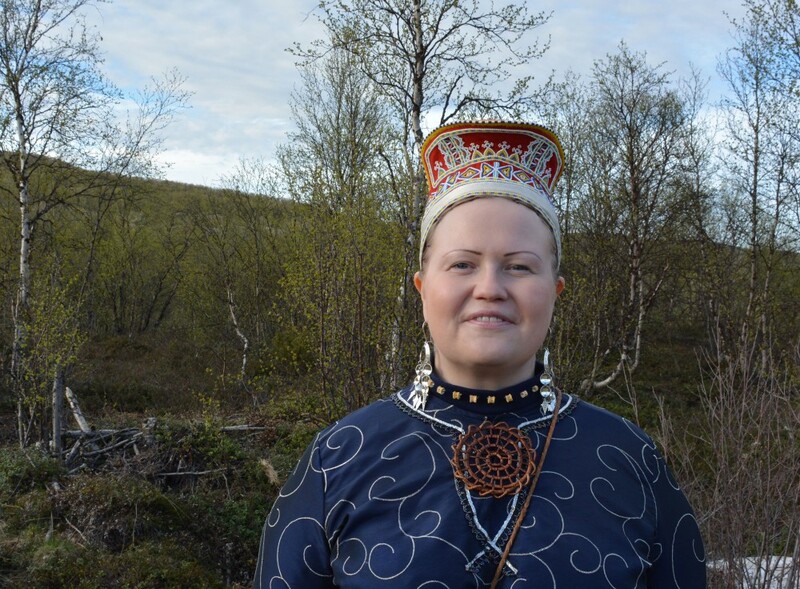 Tiina Sanila-Aikio is grateful for the Sámi who are investing a great deal of time into promoting common causes. Sanila-Aikio is the only employed full-time politician in Finnish Sápmi. She says that there would be need for more people. There are many ways of making an impact, but Tiina Sanila-Aikio feels that the social media are one of the greatest means today. “I don’t think that we’d be in the present situation without the social media. Therefore, it’s vital that we adopt new methods of influence as quickly as possible,” Tiina Sanila-Aikio stresses. Aslak Pieski from Utsjoki has spotlighted issues through his online blog. “I started writing a blog when I noticed that experts came to the River Deatnu and started giving advice to people on how to fish. We in the Sámi community need all kinds of people who work for the same goal but in somewhat different ways,” Pieski reflects. Though the Sámi are not in an optimal situation in terms of their legal rights in the 100-year-old Finland, the Chair of the Sámi Parliament is optimistic. She believes that good examples encourage other people, too.